BASE jumping is one of the most dangerous extreme sports known to man and is inspired by using your surroundings as your platform for jumping. 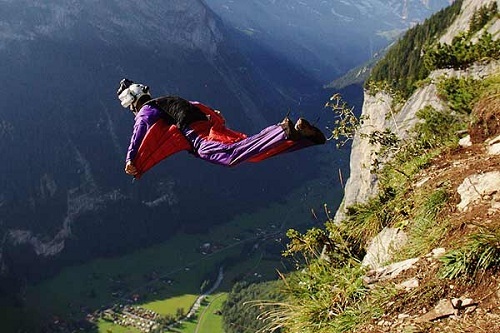 Using a parachute and working within jumping distances far less than traditional parachuting and skydiving, BASE jumping has to be a carefully-calibrated event in order to prevent injury. For those who love the sport, here are the top five locations for considering a jump in the future. This mountain – which is also home to the Christ the Redeemer Statue – has a peak of approximately 2,300 feet (750 meters) and overlooks the city of Rio de Janeiro. Even though there is plenty of height to the mountain to make the jump successful, the lack of a sheer cliff face makes jumping far more difficult. It is best to attempt the jump by using a paragliding chute as opposed to a traditional parachute in order to clear the mountain without incident. If you play your cards right, you’ll land right on the white sandy beach at the base of the mountain. Located on Baffin Island in the isolated province of Nunavut, Mount Asgard (known as the mountain of the gods in Norse mythology) is approximately one mile (1700 meters) tall and one of the harder BASE jumps out there. Climbing the mountain is an ordeal and will require climbing gear, but once you are on top and ready to make the jump, it is all worth it. First featured in The Spy Who Loved Me in 1976, this mountain (with the help of James Bond) gave the first BASE jumpers the idea to begin the extreme sport. It is recommended to attempt this jump in July or August, when the mountain’s snow is melted and the weather is calmer. An ideal place for BASE jumping, Angel Falls is a 3000-foot (1000 meter) waterfall located in the Venezuelan state of Bolivar. With a steep descent and a body of water below, there is far less risk of injury or death when jumping from this location. The misty waterfall is so tall that much of it ends up evaporating before hitting the lake below, giving the area an uber-saturated feeling. The jump here can be made year-round as the area is very close to the equator. Located in the Yosemite National Park in the state of California, El Capitan is rumored to be the initial point from which BASE jumping started in the 1970s. At approximately 3,000 feet from summit to peak, it serves not only as a popular BASE jumping location but also as a religious trek for many rock climbers. While it has been banned by the National Park Service, many individuals continue to do it. Several individuals have died while BASE jumping here, including one woman who illegally jumped to protest the ban. 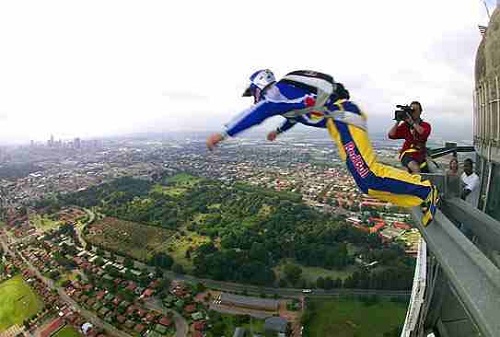 While jumping from natural formations is very popular, skyscrapers also serve as another major jumping platform for BASE jumpers. There are several skyscrapers in Shanghai that are “set up” to accommodate the sport and it makes for some of the best urban views in the world. Surprisingly, the Chinese government has embraced BASE jumping as a form of tourism and it is not abnormal to see hundreds of people below gather to witness a BASE jump. 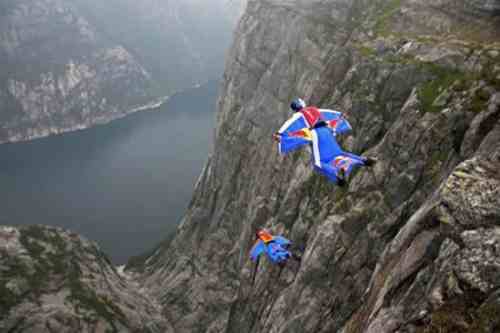 This entry was posted in Air Sports, Base Jumping and tagged Base Jumping, BASE Jumping Locations. Bookmark the permalink.